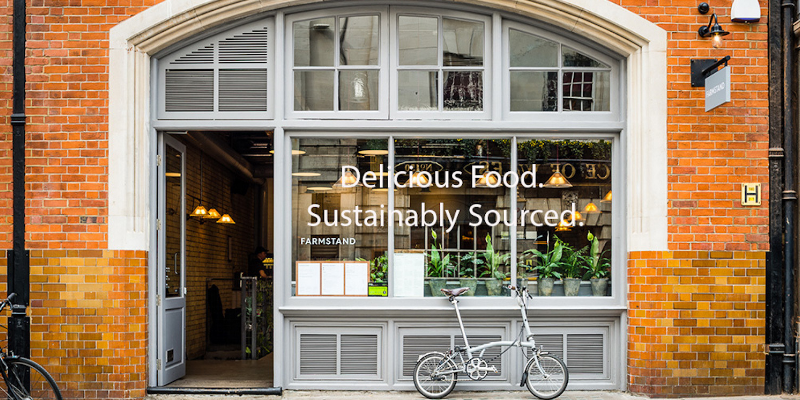 LONDON, United Kingdom — Farmstand; a London-based, plant-powered food company plans to expand its offline and online business model to 100 locations in London over the next four years, following a $3 million investment round led by Kindred Capital. Founded in 2016 by e-commerce entrepreneur, cancer-survivor and Milwaukee-native Steven Novick, the values-led company which places sustainability at its roots, is on a mission to make a healthier plant-based diet accessible to all. The business, which currently operates 20 Farmstands in London, including its flagship restaurant in Covent Garden and those operating inside corporates, aspires to grow its online sales from 35% to 50% of total revenue by investing in its technology and converting more offline customers into online buyers. In addition, it will open more physical locations to enable its message to spread further. According to Novick, although Farmstand operates a restaurant he sees the company as being a food business. “Restaurants don’t change lives, but food absolutely does, he explains. “This view ties in with our mission to get plant-powered food on every desk and in every home,” he adds. In order to achieve this goal of changing the world, Farmstand is partnering with businesses and using physical locations and technology to acquire online customers — a model that has proven profitable, according to Novick. With plans to open 5 flagship restaurants that will create an offline experience to help build the brand, up to 95 corporate cafes in the pipeline, and a growth strategy that will see Farmstand expand city by city, Novick believes the business is uniquely placed to solve a real-world problem and get millions more people eating a plant-based diet. Steven Novick will be joining the Welltodo Founder Series on 25th September to share his industry insights, business strategies and advice from challenges he’s faced along the way.